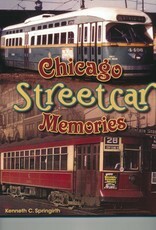 Chicago Streetcar Memories - SIGNED! Home / Chicago Streetcar Memories - SIGNED! Chicago Streetcar Memories is a photographic essay of the Chicago, Illinois streetcar system. Chicago Surface Lines (CSL) had the largest number of streetcars, largest amount of trackage, longest one-fare ride, longest average ride, and the most user friendly ability to transfer from one line to another line in the world. With 683 Presidents’ Conference Committee (PCC) cars, Chicago had the largest number of new PCC cars ever purchased in North America. Although Chicago’s streetcars made their last run in 1958, their heritage has been preserved in Kenosha, Wisconsin and San Francisco, California plus in a number of streetcar museums. 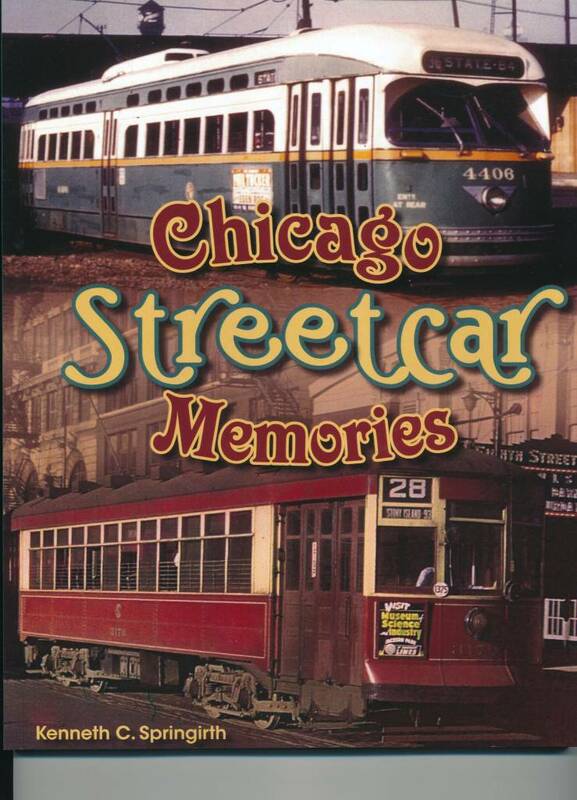 Chicago Streetcar Memories documents the city’s streetcar era including its trackless trolley operation which at its peak in 1952 was the largest trackless trolley system in the United States. Kenneth C. Springirth is the author of 35 books on railroads and streetcar lines including Honoring the New York Central Railroad, Erie to Cleveland by Trolley, Remembering the Erie Lackawanna Railroad, Jamestown to Buffalo by Trolley, Pennsylvania’s Trolley Heritage, Massachusetts Trolley Heritage, and a children’s book ABC’s on the Rails. Springirth has an interest in rail history as his father was a streetcar motorman in Philadelphia, and his grandfather was a street car motorman in Washington D.C. A native of Philadelphia and a 1957 graduate of Lansdowne Aldan High School, Springirth commuted to Drexel Institute of Technology (now Drexel University) in Philadelphia by trolley car, subway, and sometimes commuter rail graduating in 1962.